A daytime moisturiser that protects against damaging UV rays, pollution and other environmental stress while delivering instant comforting moisture. Spawake Moisturising Fairness Cream Replenishes your skin with nutrient rich sea minerals and Vitamin E and maintains optimal moisture balance throughout the day. Explore the entire range of day Creams available on Nykaa. Shop more Spawake products here.Alternatively, you can also find many more products from the Spawake Moisturising Fairness Cream For Day range. Explore the entire range of Face Moisturizer & Day Cream available on Nykaa. 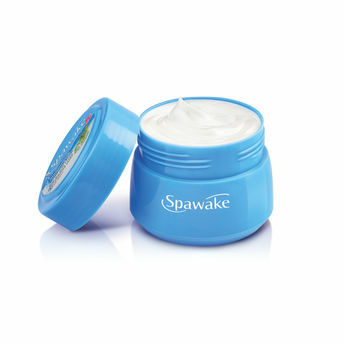 Shop more Spawake products here.You can browse through the complete world of Spawake Face Moisturizer & Day Cream .Alternatively, you can also find many more products from the Spawake Moisturising Fairness Cream For Day range.